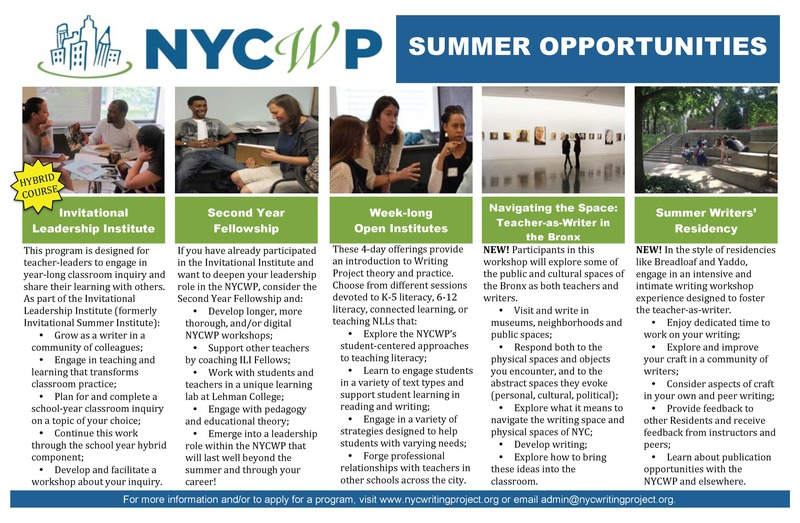 New York City Writing Project – Summer Opportunities! A Writers’ Residency for teacher-writers of all levels of experience who would like to engage in an intensive and intimate writing workshop experience created in the style of residencies and conferences such as Breadloaf and Yaddo. Register for the above programs by following the links provided. If you are a principal who would like to register a group of teachers using a purchase order, please email admin@nycwritingproject.org for information as to how to proceed.